One of the most basic concepts to learn as a new gecko-keeper is how to feed and supplement your gecko's insect food. Here at the Gecko Ranch we have perfected our techniques over the years of keeping many different kinds of insect-eating geckos. It is our pleasure to share this simple but important information with you! First we start with preparation of food containers best suited for insect food. Food containers can usually be found around your home or purchased cheaply from your local home-supply store. 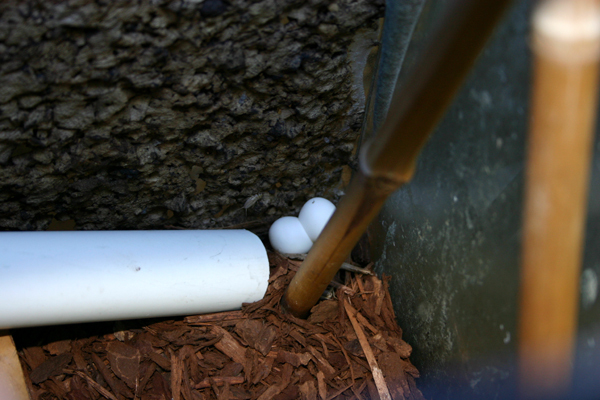 The key to insect containers is that they be smooth-sided and tall enough so the food cannot escape. Here is an example of a mealworm container. 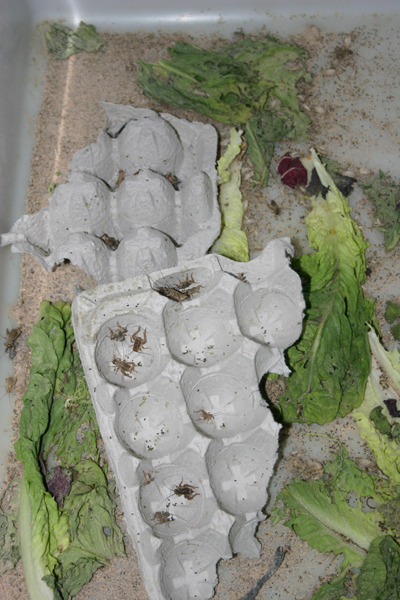 This is simply a used lettuce container with some egg cartons layered for the mealworms to crawl on and hide in. Here's an example of the inside of a large cricket bin, yours need not be so big (about 2.5 feet tall) unless you have 50 or so geckos that like, in this case, three week old crickets! 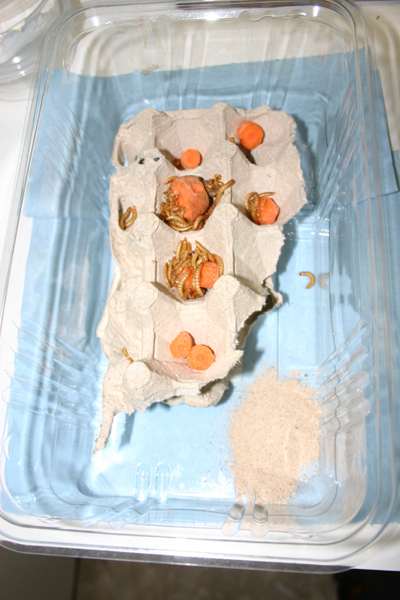 Once you set up the bin for your insects, then you add food, either carrots or potatoes for mealworms, or leafy greens for crickets as seen in the photos above. This is their source of moisture. 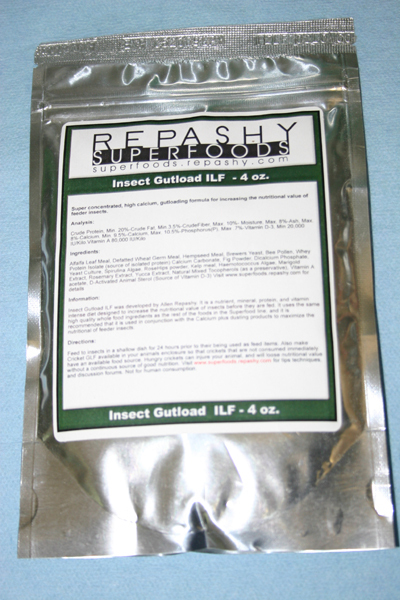 Then you put in some gut load, Gecko Ranch uses Repashy Insect Gutload as shown below. It is critical that you allow your insects to feed for at least 24 hours before feeding them to the geckos to maximize their nutritional value. Once the important task of feeding and watering (giving moist food in addition to gutload) your insects is completed, and you have diligently waited 24hrs for them to digest their food, then you may offer your hungry geckos some tasty insects! There is one more critical step before feeding. Now you need to supplement your insect food so your geckos get their needed vitamin and mineral supplementation. 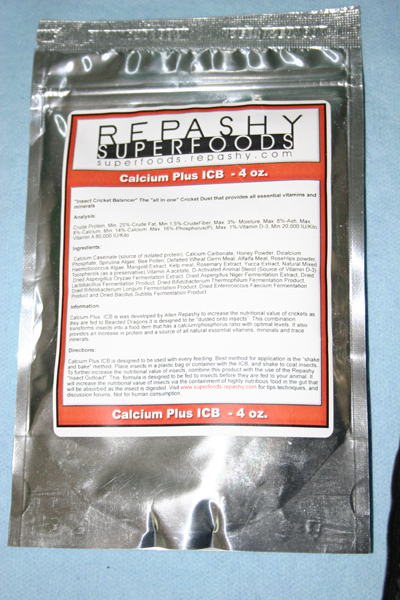 Gecko Ranch uses Repashy Calcium Plus also sold as T-Rex Leopard Gecko Dust. The difference is that Calcium Plus comes directly to Gecko Ranch from Allen Repashy and as a consequence is very fresh and the latest formulation. 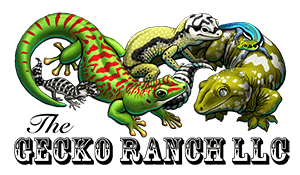 Gecko Ranch has been using Repashy products for many years and proudly features them on our online store "Supplies" section. Sprinkle Calcium Plus supplement on your insect food each time you feed. 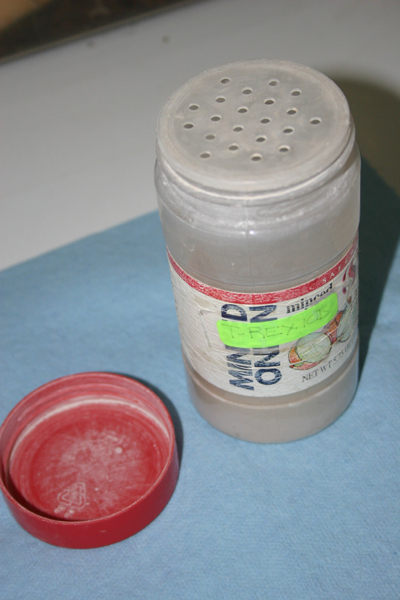 It is easiest to use a clean old spice-type container with a grated lid like shown below to avoid using too much supplement. Since Calcium Plus is a complete vitamin and mineral supplement there is no need to mix it with anything else or add any extra calcium to the gecko's terrarium. It even contains pigment enhancers to bring out the color in your geckos! Here's what your insect food should look like after coating with Calcium Plus. 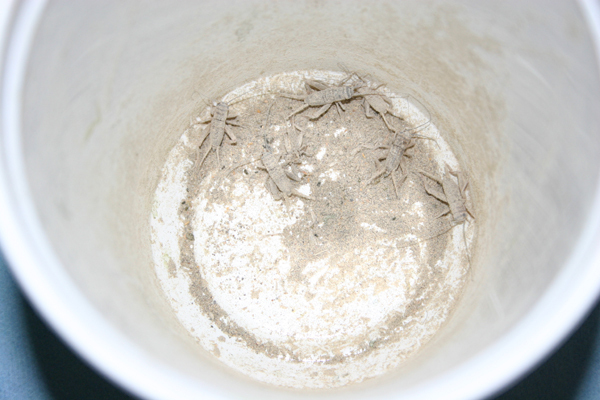 Note the crickets are in a tall "deli" style cup which is easiest to collect the crickets in. Simply shake them off the egg cartons and they will happily run inside a paper towel roll, which is easily dispensed in your tall smooth-sided cup! 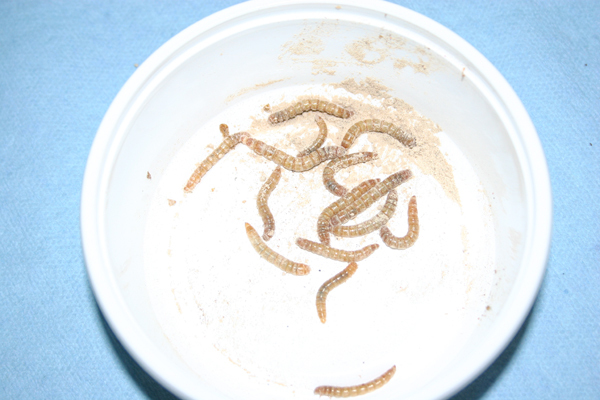 As for the mealworms, just sprinkle and swirl your bowl to coat them evenly. 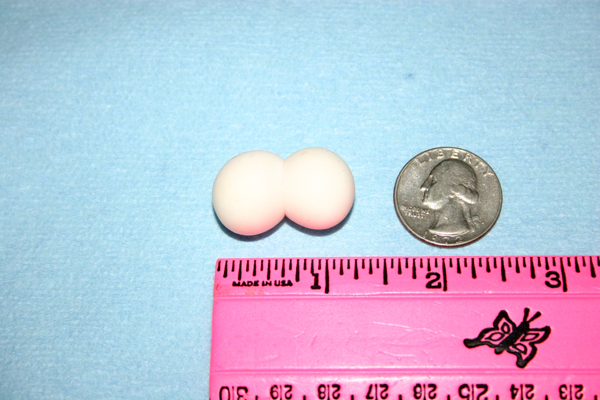 Here are some Phelsuma standingi Standing's Day Gecko eggs from a mature breeding female after 10 months on Calcium Plus after the new higher calcium content revision done last year. Standing's Days have the most heavily calcified eggs in legally obtained large Phelsuma so to have eggs this perfect says a lot about this supplement! Phelsuma are amongst the hardest geckos to supplement properly.